I gave my husband his gifts and made a Valentine’s Day breakfast a couple of days early when we learned that he would be putting in another week of 14 hour days. On the actual holiday I planned to make a nice dinner for the boys and myself and keep Hubby’s warm for him. I also made Hazelnut Coffee Granita and this panna cotta dish so that we could still have something nice to celebrate with when he got home after the kids were asleep. 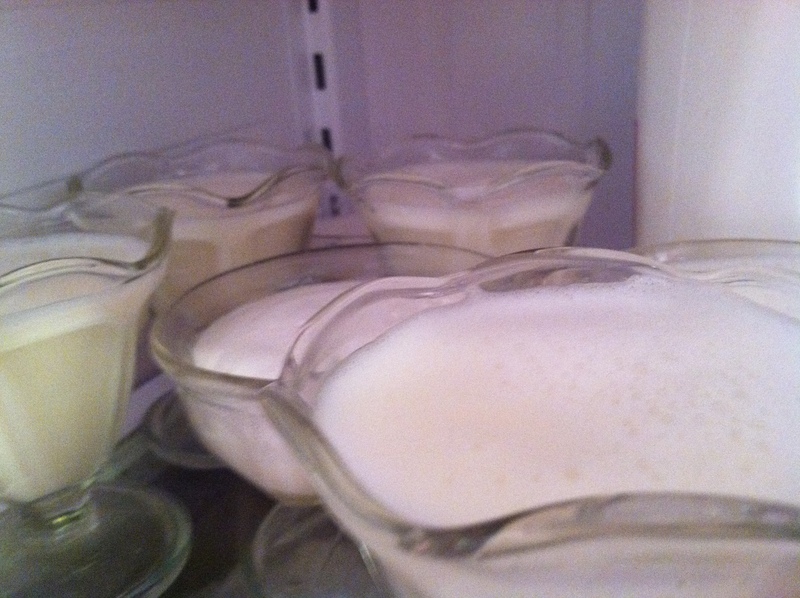 The panna cotta chilled in the refrigerator for most of the day. 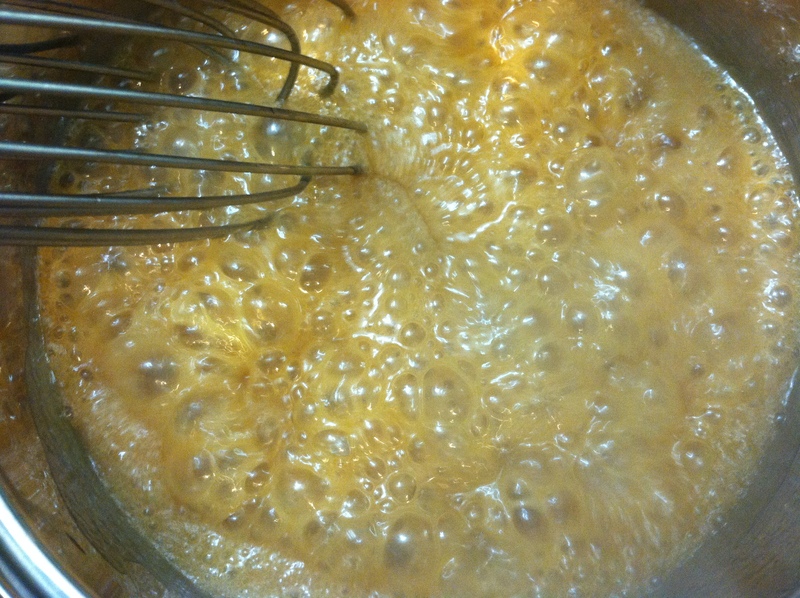 All I needed to do was unmold it when the time came and make the praline sauce. The granita took more of my attention, requiring stirring throughout a three hour period to keep it from freezing hard. I finished it all with enough time to wash the kitchen floors and plunk into the bathtub. The boys and I had already enjoyed our panna cotta and I had frozen the majority of the sauce, leaving one portion on the back burner of the stove for my husband’s Valentine’s dessert. He came home a few minutes earlier than I’d expected, while I was still in the tub. I told him that I had his dinner in the oven and that if he gave me a second I would serve it up for him. By the time I made it to the kitchen he was standing next to the stove holding a dinner plate full of food and saying, “Is this what I was supposed to do?”. I looked to where he was pointing. He had dumped the praline sauce onto his pork steak thinking it was brown gravy, the goopy kind they serve at those high volume buffet restaurants and in hospital cafeterias. I hadn’t predicted what he would do, but when I was in the tub I knew that I needed to get out quickly or something would happen. But I guess I set us both up by leaving the sauce in the sauce pan on the stove. Surprisingly, he did eat the pork and said it was good. Add the gelatin to the water. 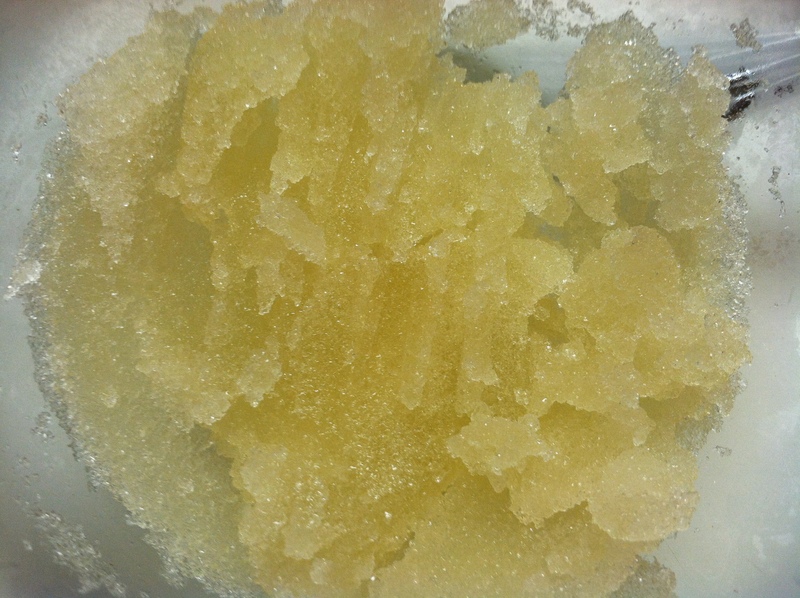 Allow the gelatin to soften for 10 minutes. 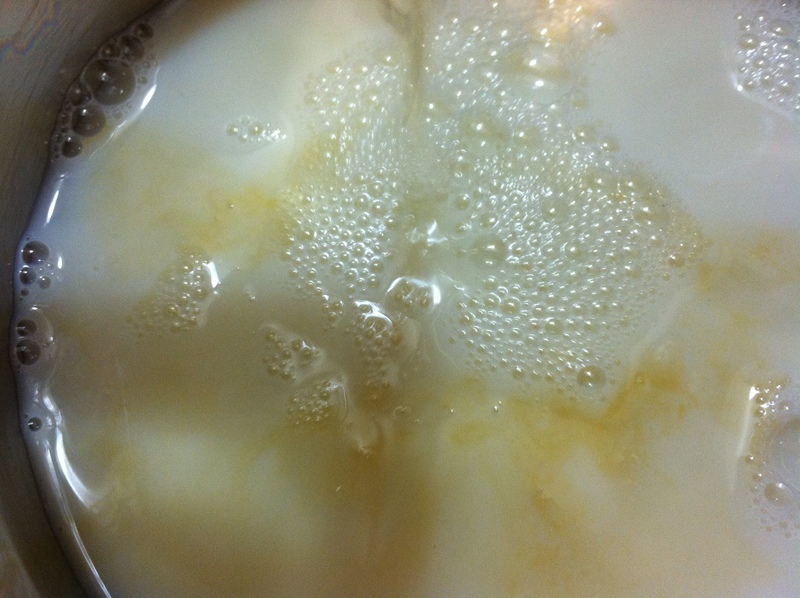 Heat the milk, vanilla, and syrup to a simmer. Remove from the heat. 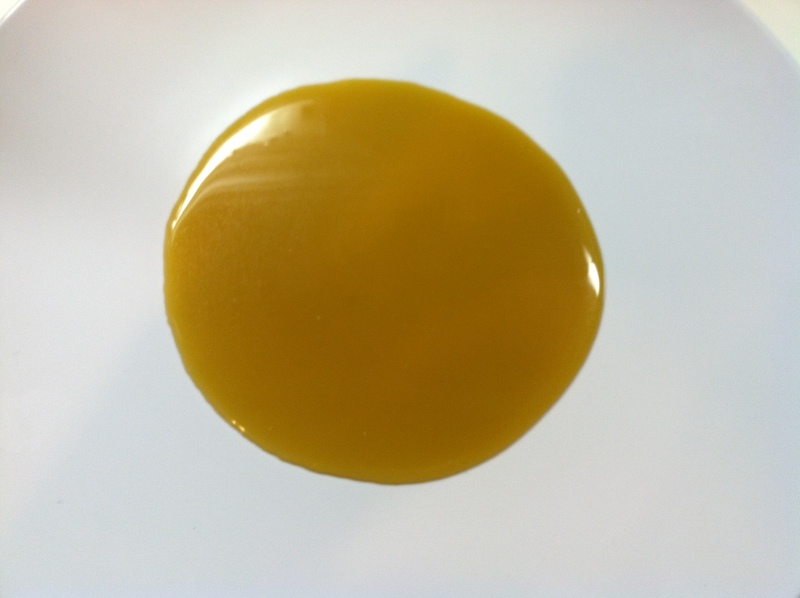 Stir in the softened gelatin until it dissolves. Pour the half and half into the mixture and stir well to combine. Spoon into dessert glasses and chill until set, 2 to 3 hours. For the sauce, combine all of the ingredients in a sauce pan. 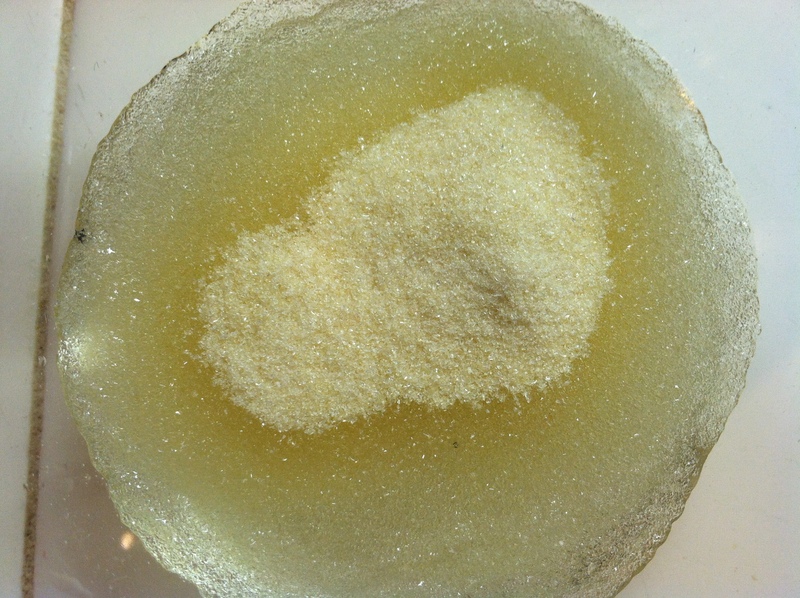 Heat until bubbly and sugar has dissolved while stirring constantly. Chill completely. 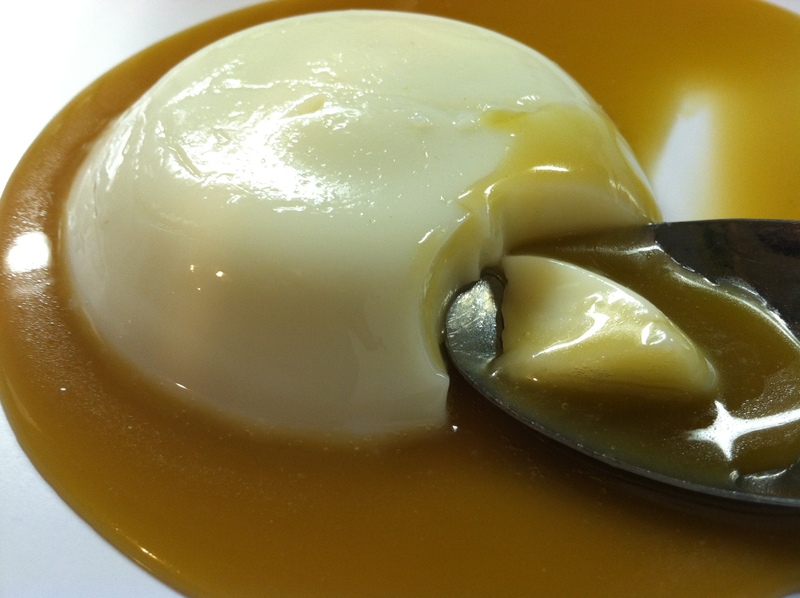 Spoon the sauce onto a plate or over unmolded panna cotta. To remove panna cotta from the molds, fill a deep container with very hot water. Set the dessert dishes in the water for 30 to 45 seconds. Place a plate or your hand over the top of the mold and invert it to allow the gelled dessert to slide out.